Dr. Irit Davidson is a leading senior researcher (grade A+, equivalent to Full Professor) at the Kimron Veterinary Institute, Bet Dagan, the Israel Government Research and Veterinary Reference Institute, Division of Avian Diseases. Dr. Davidson studies on avian viruses contributed majorly to the Poultry Veterinary Science to improve the understanding and control of poultry viral infections and to develop new diagnostic assays regarding the following viruses: avian oncogenic and immunosuppressive viruses, including leukosis (ALV), reticuloendotheliosis (REV), Marek's (MDV) and chicken anemia (CAV), as well as fowlpox (FPV), laryngotracheitis (ILTV), turkey flavivirus TMEV and avian influenza H9N2. Those viruses were studied in separate, or in multiple virus-infections. To facilitate identification of natural multiple virus-infections she developed multiplex molecular assays for simultaneous multiple virus detection and for the differentiation of wild-type viruses from vaccine strains (DIVA). Establishment of the feathers as a major organ for detection and study of chicken viruses, including her latest findings on the feather use for the evaluation of the application efficacy of live vaccines. Dr. Irit Davidson showed for the first time that feathers are a preferred organ for the detection of viruses like CAV and ILTV, and for the first turkey flavivirus, TMEV, facilitating horizontal virus spread, as previously demonstrated only for MDV. Moreover, by analyzing feathers in veterinary medicine, the bleeding and killing of birds is avoided, enabling continuous monitoring of infection on one hand, and the performance of quality control of live vaccine application, on the other. Molecular recombination between herpes and retroviruses events in commercial birds, showing the formation of chimeric molecules. That finding reflected on general virology, as herpes and retroviruses co-exist in many animals, including humans. Further, molecular integration of REV fragments into fowlpox, revealed that most FPV isolates contain REV fragments. These studies were published in 166 publications (about 1400 citations and 7000 reads by Research Gate) in high Impact Journals. The findings were reported in scientific meetings worldwide, about 161 Abstracts, including invitations for keynote lectures (USA, Beijing, Istanbul, France, Israel). Her contribution to science included also active participation in International scientific panels for competitive grants (European Union and the US-Israel BARD) and in Editorial Boards for several Scientific peer-reviewed Journals (Avian Diseases, Virus Genes, Journal of Virological Methods, Tumor Viruses, World Journal of Virology, Peer J and the Israel Journal of Veterinary Medicine). 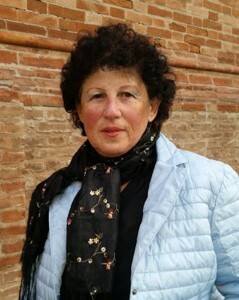 Dr. Irit Davidson serves as the Head of the Institute Scientific Committee and conducted academic supervisions of M. Sc. and Ph.D. students. Dr. Irit Davidson studies were funded by 20 International and 15 Israeli National competitive grants. For these studies Irit Davison won several International Awards (American Association of Avian Pathologists (AAAP) P. P. Levine in 2002, World Poultry Science Association (WPSA) Research Award in 2004, World Poultry Association Hall of Honor in 2017), as well as several National Awards in recognition of her contribution to general and applicative science.